Purchase this and earn 40 Pawperks! 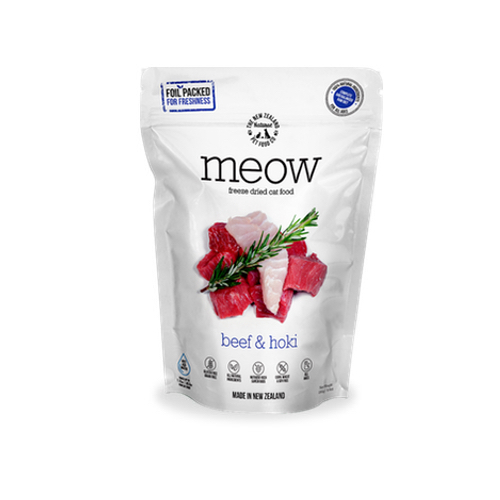 MEOW is made using only the highest quality ingredients aimed at nourishing your pet’s health. 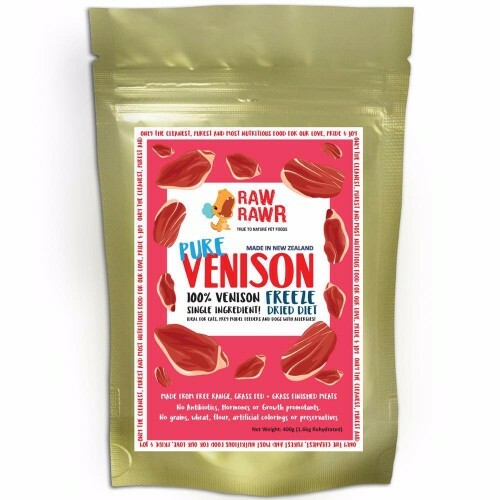 We combine the nutrition and taste of fresh, raw food and put it through a gentle freeze-drying process which protects all the natural enzymes and nutrients, so none of the wholesome goodness is cooked out. For more information, visit the manufacturer’s website to learn more about Meow Freeze Dried Chicken & King Salmon Cat Food. 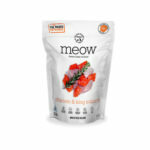 Meow Freeze Dried Chicken & King Salmon Cat Food are available for sale in Singapore at Nekojam, Singapore’s favourite online pet shop. We have a Scottish fold that loves chicken. 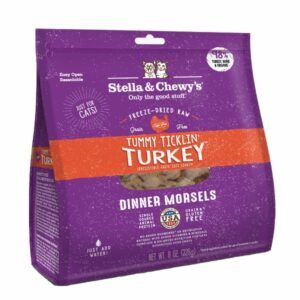 Tried the Primal chicken and salmon which he likes, feline natural lamb and chicken which he also likes a lot, and Stella’s chicken dinner which he has no problems finishing. This Meow one however smells heavily of fish and came all smushed in the bag. He didn’t like it one bit.